Performing alongside stalwarts like the Macy’s Great American Marching Band and NYPD Marching Band, as well as collegiate juggernauts including the Ohio State University Marching Band, several high school marching bands from across the country are primed to march on the biggest of national stages. This year marks the 92nd annual Macy’s Thanksgiving Day Parade. Over the years, the likes of the Radio City Rockettes and Santa Claus himself have walked Manhattan’s streets as part of the parade, performing for a live audience of 3.5 million and 24 million more watching on TV. Over 100 marching bands audition for a coveted spot in the Macy’s Thanksgiving Day Parade. Only 10 are accepted. In 2018, that number includes seven high school marching bands – three of which are part of the Snap! Raise community. We want to take a moment to celebrate the achievements of these three incredible bands: Homewood Patriot Band, Grants Pass High School Marching Band & Color Guard, and the Lafayette High School Mighty Lion Band. Back in April of 2017, the students of Birmingham’s Homewood Marching Band gathered in the school auditorium under the impression they were being visited by the descendant of renowned composer, John Phillip Sousa. What they got was much more satisfying. Their visitor was actually Wesley Whatley, the Creative Director of Macy’s Thanksgiving Day Parade, who surprised the students with an invitation to perform in the 2018 parade. It was the band's ninth invitation to the parade, marking the 40th anniversary of Homewood’s debut appearance. Homewood Band Director Ron Pence is a seasoned Macy’s Parade veteran with three performances already under his belt, the most recent in 2011. 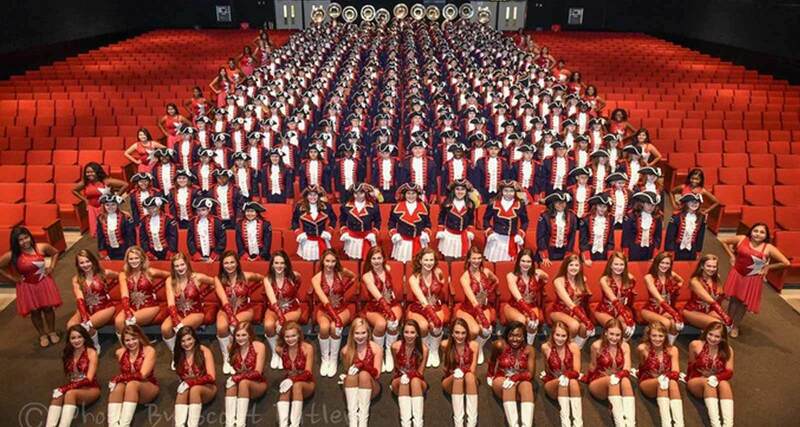 “To take a band four times is just a miracle and a blessing, and it’s very exciting that we’ve been able to keep the tradition of the Homewood band going for so long,” Pence told Over the Mountain Journal. To help fund the trip, the Patriot Marching Band ran a fundraiser with Snap! Raise last year. With nearly 1,400 supporters, Homewood exceeded their fundraising goal by over 300 percent and are able to cover travel costs for all 400-plus students. From all of us at Snap! Raise, we are excited to see you perform again, Homewood Patriot Band! 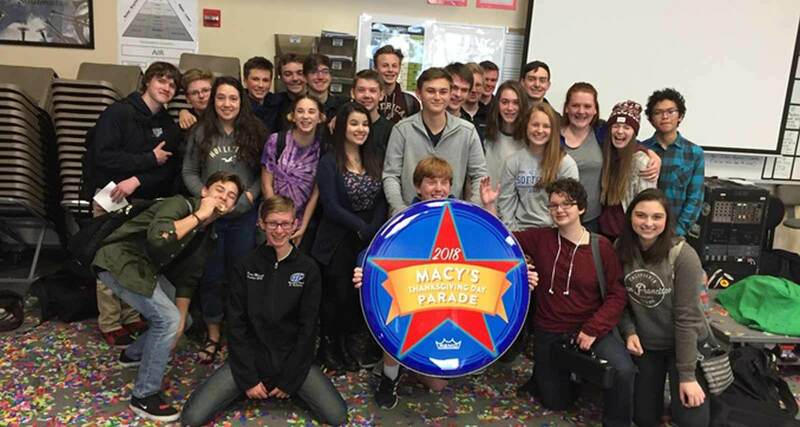 From conquering performing arts competitions to performing at the Washington Monument in D.C., there is no shortage of achievements on Grants Pass Marching Band’s record. Come November 2018, the band will add to that list its second Macy’s Thanksgiving Day Parade performance within a decade. Upon hearing the good news, Band Director Jason Garcia had to keep the performance secret from his band, including his own kids who are members themselves. Three weeks later, with the help of Wesley Whatley, Garcia was finally able to reveal their spot in the Macy’s parade lineup. According to the Mail Tribune, Garcia called the invitation the highest honor any band could receive. In a statement released by Macy’s, Whatley expressed his excitement to welcome Grants Pass back to Manhattan this November. He explains they were chosen for the “incredibly powerful punch of energy” the band delivers during its performances. Grants Pass last performed at Macy’s Thanksgiving Day Parade in 2010. Now over 450 members, staff, and parents will make the trip in 2018. 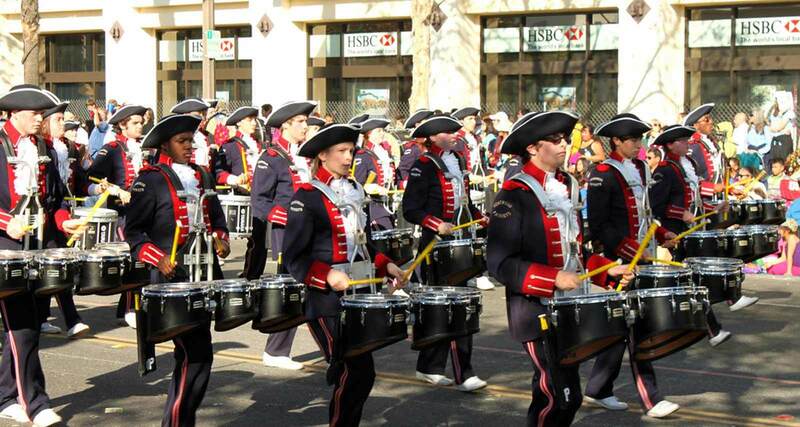 In addition to funding its cross-country trip to New York, the band was also tasked with replacing its 19-year-old uniforms upon accepting the invitation to join in the parade festivities. Garcia turned to Snap! Raise for the band’s fundraising needs. Thanks to their dedicated supporters, the students of the Grants Pass Marching Band will be outfitted in brand new uniforms and their travel costs will be subsidized. 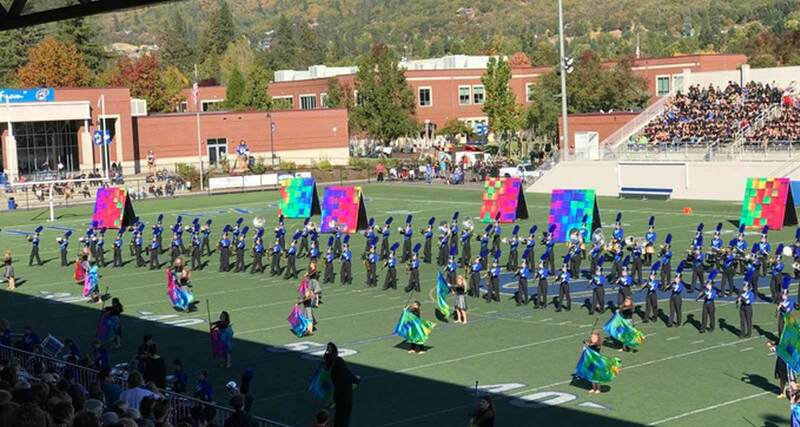 Congratulations, Grants Pass Marching Band! We will be cheering for you on Thanksgiving! In southern Louisiana, the students of Lafayette High School’s Mighty Lion Marching Band have wrapped up preparations for their highly anticipated debut appearance in the Macy’s Thanksgiving Day Parade. 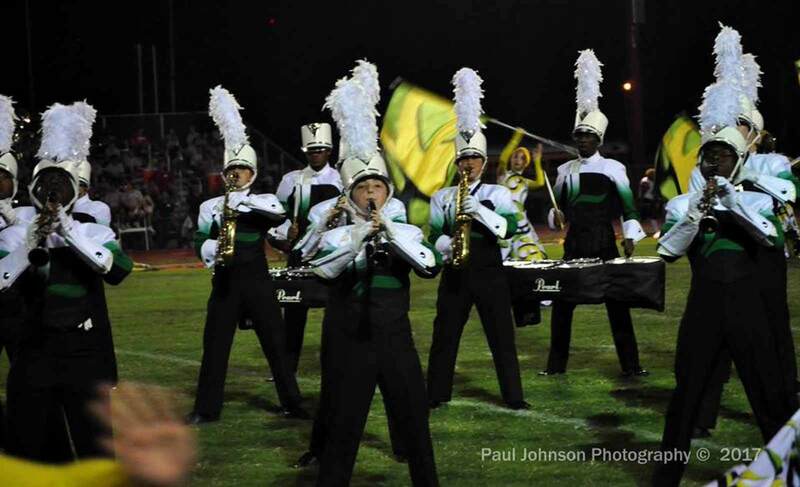 According to the Daily Advertiser, Director of Bands Scotty Walker stated that the band’s upcoming national performance will be a career highlight. His musicians echoed his excitement, expressing their gratitude for the opportunity to have their hard work nationally recognized. The Mighty Lions had previously applied for a spot in Macy’s coveted parade lineup but were turned away. However, after 14 consecutive years as Grand Champion at Louisiana’s Showcase of Marching Bands, the state’s largest marching band competition, the band’s exemplary resume finally demanded national recognition. “It’s pretty exhilarating to get that phone call from New York,” Walker told Snap! Raise. Performing in the parade is just the final chapter of a process that lasts over two years; Macy’s informs the selected band directors two years in advance, but those directors sometimes have to wait months to tell their band. The Mighty Lion Band decided to run a Snap! Raise fundraiser to help cover travel costs to New York City. “We bus the kids up to New York because flying is so expensive,” Walker told Snap! Raise. “It costs about $2,000 per kid to attend the parade. We want it to be an experience.” Walker noted that his students will have the opportunity to see the Rockettes perform and even attend a Broadway show during their stay. The band exceeded its fundraising goal, helping make it possible for all roughly 200 band members to attend the parade." It was the easiest fundraiser I have ever done in my life, and I’ve been teaching for 29 years,” Walker said. With its finances in order, the Mighty Lions Band can get back to focusing on what matters most – delivering an outstanding performance that will be remembered at LHS forever. Congratulations on your debut performance, Lafayette Mighty Lions. The secret is out now! On the NBC parade telecast, look for Grants Pass at 10:06 EST, Homewood at 11:23 EST, and Lafayette at 11:45 EST. 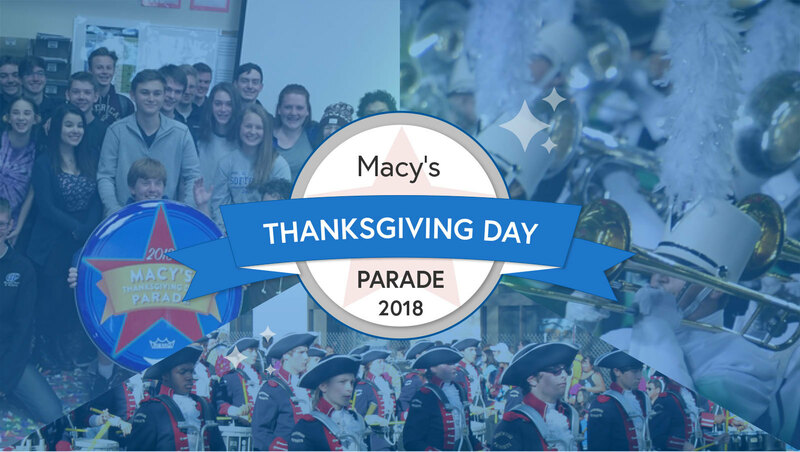 It is an honor to have played our small part in helping these incredible programs make it to New York for the one and only Macy’s Thanksgiving Day Parade. From all of us at Snap! Raise, congratulations! Snap! Raise is proud to help bands across the U.S. achieve their fundraising goals – whether they plan to play for an audience of 24 or 24 million.